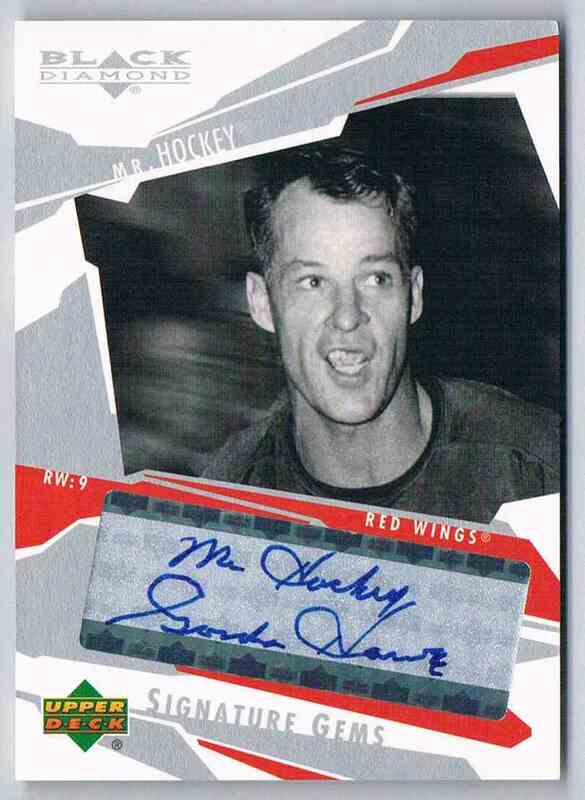 This is a autographed Hockey trading card of Gordie Howe, Detroit Red Wings. 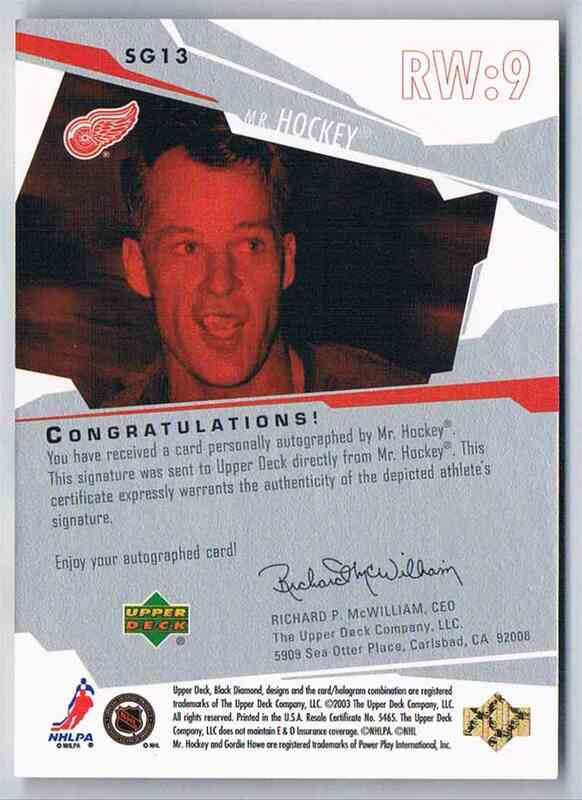 It comes from the 2003-04 Upper Deck Black Diamond Signature Gems set, card number SG13. MR Hockey. It is for sale at a price of $ 250.00.